Creamy tuna pasta salad is a fresh and versatile meal packed full of goodies. Try adding some sliced capsicum or cucumber as well, for added flavour! Prepare this salad for a family lunch or picnic, or store it in an airtight container and pack in a lunch box. Cook the pasta according to its packet instructions. When ready, place a collinder over the sink and pour the pasta into the collinder to strain. 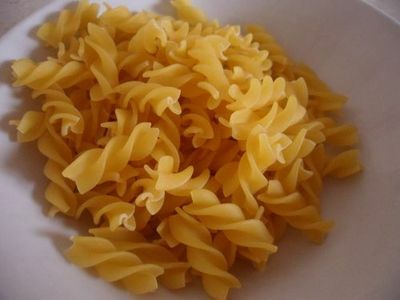 Run cold water through the pasta and toss through to chill the pasta and ensure it does not overcook within itself. (Note, this salad can also be served warm, in which case toss a little olive oil through the pasta, place in a bowl and allow to cool slightly before adding the remaining ingredients). Transfer the cooked pasta into a mixing bowl. 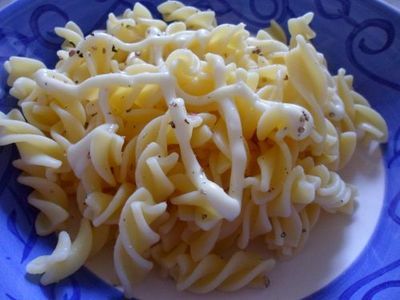 Add mayonnaise, salt, pepper, and a sprinkling of lemon juice to the pasta. Use a pair of spoons to toss these through the pasta, so that the pasta is coated evenly. 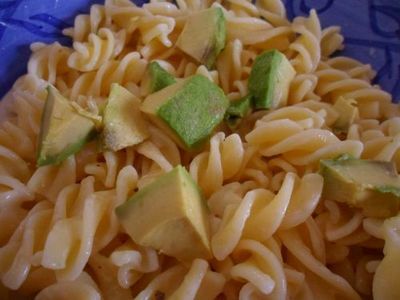 Chop the avocado and add this to the pasta mix. If you are adding additional ingredients, such as capsicum or cucumber, slice these up and place them into the mix at this stage. 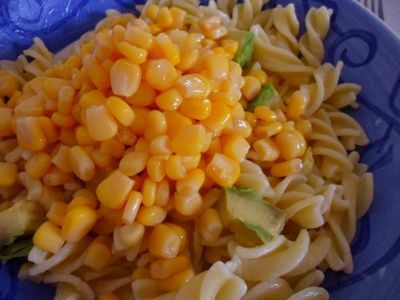 Add the corn, then toss the pasta and ingredients through. Drain the tinned tuna. 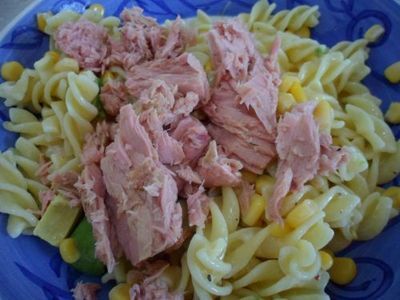 Using a fork, flake the tuna into the pasta bowl to make delicious chunks. 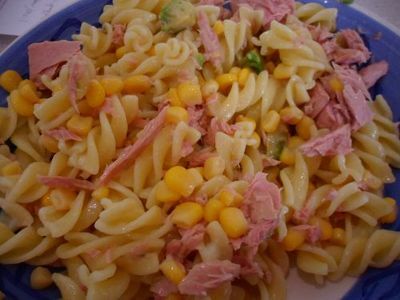 Toss the tuna and pasta through. Finish with a garnish of parsley if desired! Also, you can add any extras at this stage, for example, try dropping on some cherry tomatoes for a bit of extra colour and flavour. Or boil a few eggs, slice them up and place them on top of the pasta! Sun dried tomatoes are also delicious in the mix, as are spring onions or sliced bacon or ham. Best place to buy shoes in Melbourne?